Hope everyone is having a wonderful three day weekend. 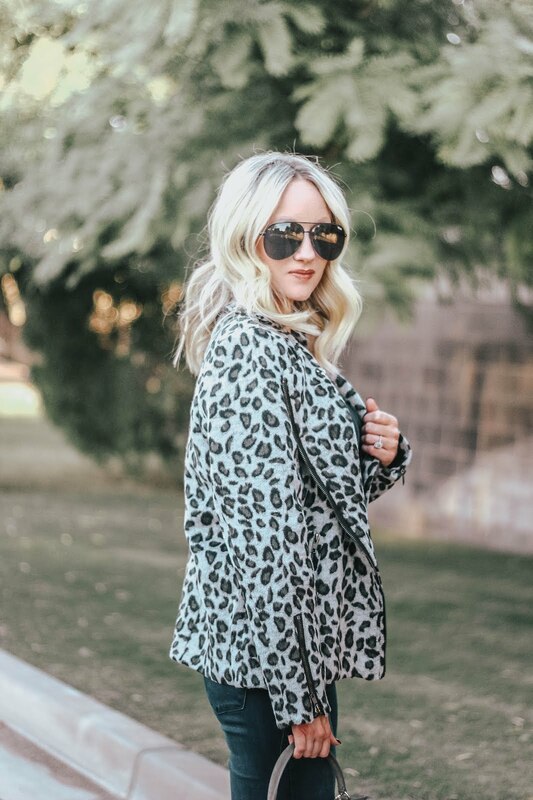 A girl can never have too much leopard and I love this jacket by Jess Lea Boutique. It it a moto style jacket and I am wearing the grey color (also comes in tan). 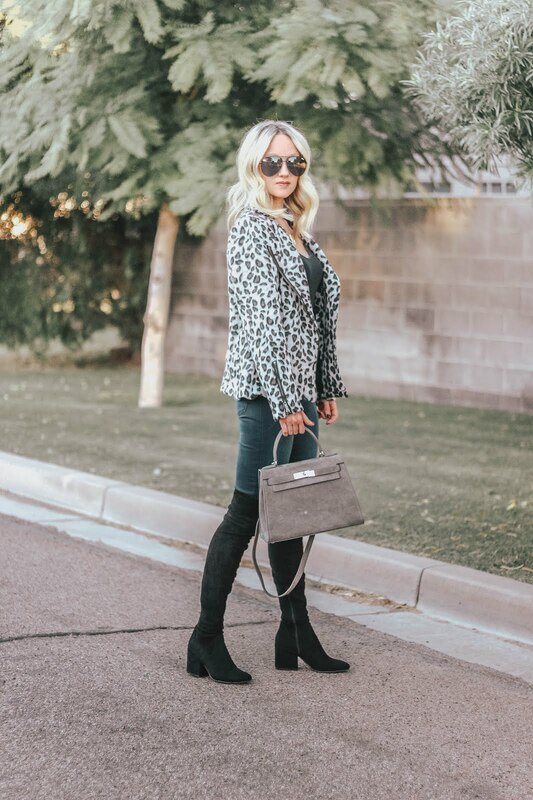 I am loving it for Fall! Which has finally decided to arrive in Arizona. I was so excited to wear this jacket and not have to take it off by 11:00 AM. It has two pocket zippers and zippers on the sleeves which I love.